In February, 2017, students asked me about buying Canon and Nikon fixed focal-length lenses and telephoto lenses. I am thinking of getting the Canon 50mm f/1.8 STM lens and was wondering your opinion. I am also interested in getting a telephoto lens, but have no clue as to which one for my Canon EOS Rebel T6. Any suggestions? I would still aim for beginners’ equipment if that makes sense. 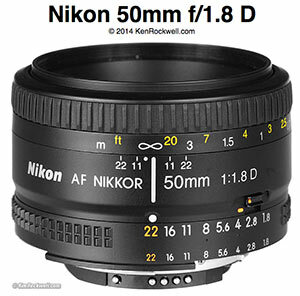 Below is my long answer about the fixed lens and my easy recommendation for a telephoto lens. The video reviews are especially good in terms of teaching what to look for in a lens. I only find good reviews for that 50mm Canon f/1.8 lens. It is small and therefore not very heavy. You will like that your camera is lighter than with a zoom lens! Also, because the aperture can go down to f/1.8, you can easily blur the background while keeping the subject in focus. See Ken Rockwell’s favorable review. He says this is Canon’s best-selling lens. You might prefer a 35mm fixed lens. Because your camera has an APS-C crop sensor, the 50mm lens is like an 80mm lens on a full-frame CMOS camera, meaning 50mm is a good portrait lens on a crop-sensor camera but perhaps not as useful as a 35mm lens. You have a zoom lens you can set at 35mm and at 50mm. Try both settings. Which would you prefer to have in a fixed lens? If you prefer 35mm, look at the Canon EF 35mm f/2 lens. Problem is its price. I see a YongNuo 35mm f/2 lens for $72, a Canon 35mm f/2 for $313, and a Canon 35mm f/2.8 for $99. Here is a review of the Yongnuo 35mm lens. If you like the longer 50mm Canon lens, that might be your best buy for quality and price. 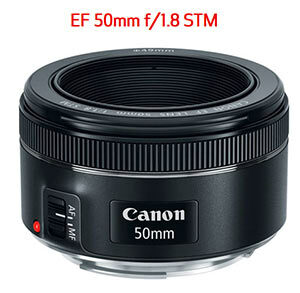 A very good starter lens for your crop-sensor camera is the 55-250mm Canon EF-S Telephoto Zoom IS STM Lens, f/4.0–5.6. Here is a glowing review from Christopher Frost Photography. I currently have a Nikon D3100. I am looking to possibly purchase a lenses that will take better sports pictures. I find that I am sometimes too far to (sitting on the sidelines) to capture a good picture. I am also looking for a lens that will take better portrait pictures. I am hopping not to break the bank. I recently visited a camera store – Cardinal Camera, and they recommended the Tamron SP AF 70-200 telezoom, however that comes with a pricey price tag of $1500.00. On a DX camera, the effective focal length is 453mm — a long lens! Note that this is a fixed lens — no zoom. If you want closer or further away, use your feet! Because the aperture number goes down to f/2.8, lots of light is coming into the camera — four times as much light as an f/5.6 lens. It comes with Vibration Reduction to steady the shots. Good! That more than compensates for this lens’ higher aperture numbers.